It was difficult to edit my gift picks as I want everything I reviewed this past year and would love to give them all as gifts. In any event, here it is, an attempt that hopefully covers reasonable price points and varying tastes to aid in your gifting pleasure. Roxana Illuminated Perfume Hedera Helix: Wouldn’t you love to receive the lovely compacts pictured above? I certainly would as they’re filled with Roxana Villa’s newest fragrance, Hedera Helix, an olfactory ode to ivy. Not surprisingly, this perfume is a leafy green chypre that has a dense and addicting note of oakmoss as its foundation. Both incarnations of Hedera Helix, solid and liquid, are a complex blend of nearly forty different essences, but I prefer the solid’s focus on the effervescent top notes of clementine, orange blossom, and grapefruit. (The liquid is much more resinous and inky and also very beautiful). The heart is full of warm beeswax and woods and the drydown is dappled with sweet rose and jasmine petals. I find this progression from chypre green to pale pink to be quite compelling and all together lovely. The mini compact is $30 for approximately 1.5 gm. If you live in the Portland, OR area, you can test Roxana’s perfumes at Spring Creek Store. Red Flower Sweet Alyssum: Sweet Alyssum is Red Flower’s latest perfume offering which evokes the burgeoning blossoms of spring. And what better time to have your spirits lifted by iris, violet, honey and hay than in the middle of winter’s darkness? It’s a scent to daydream by. Plan that escape to a sundrenched shore, or imagine the color of that first blooming violet, heralding the new garden season. Whatever the dream, Sweet Alyssum will make it brighter. Sweet Alyssum is $138 for 1.0 oz, exclusively at Garnet Hill. 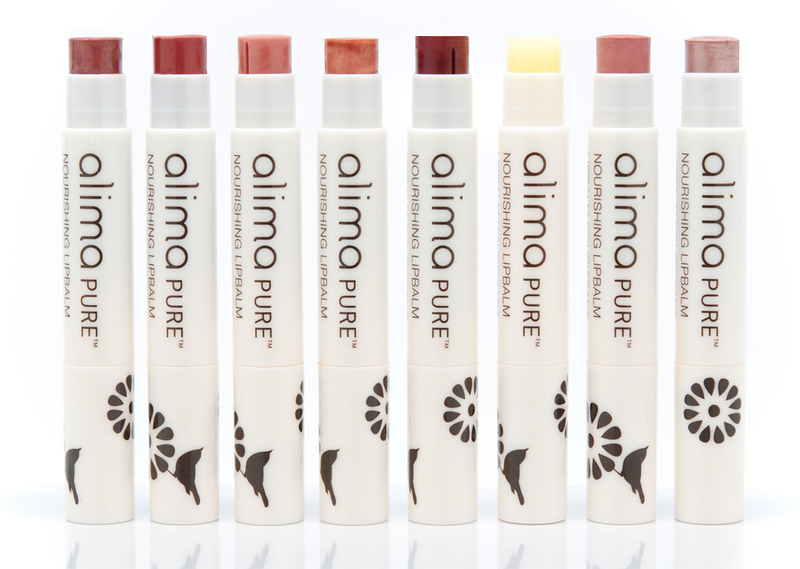 Alima Nourishing Lip Balm: Speaking of dreams, I can’t go to bed without putting lip balm on my lips. And I know I’m not the only balm addict out there. I bet you’re one yourself, or you know one pretty well. Alima’s Nourishing Lip Balm will satisfy even the pickiest guy or gal with its minty scent and smooth texture. Natural is sans color, perfect for bedtime or over lipstick, but I also adore Fig, a shimmering bronzy-plum that’s perfect for everyday wear. 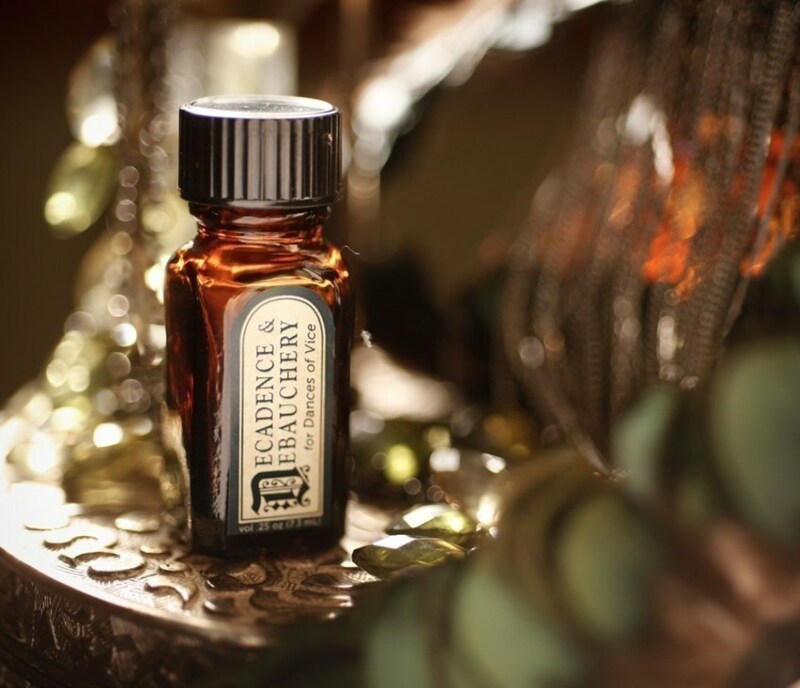 For Strange Women Decadence and Debauchery: For Strange Women is a perfumery that I newly found this year and have been enjoying a great deal. I have a few favorites- Moss & Ivy, November, and Horse to be specific- but Decadence and Debauchery ranks high up there and strikes me as the one most people would be drawn to. It has a little bit of everything from tobacco to violet to vanilla and it’s all whipped up into one richly decadent perfume. $40 for 1/4oz bottle of perfume oil on etsy. Aftelier Perfumes Pear Fir and Coffee Body Oil: Mandy Aftel of Aftelier Perfumes always has something new up her sleeve whether its creating Chef’s Essences®, perfumed teas, or candles. 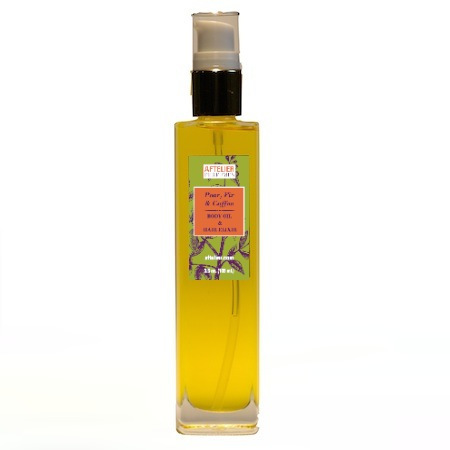 This time, she has caught me by surprise with her newest Body Oil & Hair Elixir; Pear Fir and Coffee. That’s quite a trio of scents! When I first applied the oil on my skin I thought, “Huh, that really is pear, fir and coffee.” After twenty minutes more I thought, “Wow! That still is pear, fir and coffee and I’m liking it!” Somehow these seemingly disparate notes- seemingly to me being a fragrance sniffer rather than a fragrance creator- work in concert to not only harmonize with each other but also allow each other room to shine as individual notes. This oil would be perfect for the perfumista in your life that is open to new olfactory experiences. $40 for 3.5 oz pump bottle at Aftelier.com. Chanel No 19 Poudre: I will admit, unabashedly, that I have fallen hard for Chanel No 19 Poudre. I know it hasn’t gotten rave reviews from other perfume bloggers as it’s been deemed as a watered down version of the original, and not terribly inspired. Well, I disagree as Poudre makes me swoon with delight. The opening is a tender and sheer rendering of galbanum unlike the original which is much too cold and sharp for my taste. The iris glistens and remains steadfast throughout Poudre’s evolution, but is at its finest when it melds into the tonka-sandalwood base which is delectable! $85 for 1.7oz at Nordstrom.com. DSH Vanille Botanique: Another new fragrance launch that has garnered a lot of praise, is Prada Candy. I like it well enough, but I’m not feeling the love quite so strongly. I much prefer DSH Perfumes Vanille Botanique which also starts off with smooth caramel but with a boozy twist. I find Vanille Botanique to satisfy the same type of craving as Candy, but in a more interesting manner. It might not be the “benzoin overload” the Prada PR claim Candy to be, but Vanille Botanique is a lush cloak of tonka, balsams and yes, benzoin. And even though I just sang praises for Chanel Poudre, when given the chance, I would rather spend my dollars on, and give my loved ones a gift from an indie perfumer. $130 for 30ml at indiescents.com. Roxana graciously gave me a preview of Hedera Helix in my last order, and I loved it! I’d purchased solid and liquid samples of Greenwitch and Chaparral, and she included her new “green” scent (HH). The HH was my favorite of all three, with the warm, dry Chaparal second. Greenwitch was unusual, indeed (loved the smell of the liquid), but, alas the sea note didn’t work so well on me. Her packaging is divine — even her little samples. Also finding that For Strange Women’s “Moss and Ivy” is perfect for this time of year! My intro to ALL of these marvelous creations is your blog, and I’m grateful you give such wonderfully full and descriptive reviews. You really are able to verbalize the beauty of such things — not an easy feat. One or two more things — I am looking for a natural (or mostly natural) green fig perfume. Any suggestions? As well, I’m wondering if you’ve tried any of Napa Valley Soaps. The Fig and Zinfandel soap is amazing. Wish they had it in lotion. How nice that you have tried Hedera helix! Chaparral is also beautiful, I love that one for men too. I love Chaparral, too! And anyone who’s ever smelled it on me–especially men, even men who don’t think of themselves as liking perfume–have been very enthusiasitic. Let me think on your fig question…. Of course there’s Aftelier’s Fig, but that’s more of a jammy fig, not really a green fig. Are you looking for 100% natural? I’m not sure if S&P Factory’s products are all natural. And no I have not tired Napa Soaps, but they look lovely! 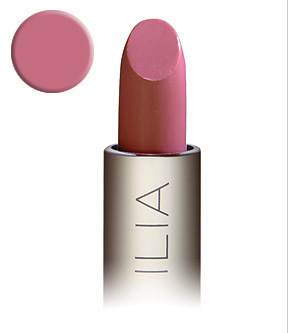 If you love Ilia’s Blossom Lady, you’d love Bang Bang! Its such a pretty red, and sheer too so its not too dark or strong. I want to pick up Arabian Nights now. I want to try all!! I always enjoy your gift guides Trish. Thank you so much for sharing! Trish, thank you so much, I’m glad you liked my new Body Oil & Hair Elixir, and I love being included in your thoughtful guide! It’s really amazing Mandy, thank you for giving me the opportunity to try it! Love! Needing to try Red Flower Sweet Alyssum! Wearing alot of Prada Candy lately, I enjoy the body lotion more than the perfume and now I’m very curious about DSH’s Vanille Botanique. I like Chanel no. 19, need to consider taking Poudre for a test drive. DSH’s Vanilla Botanique is heaven! It’s not overly sweet at all, more balsams and booze than sugar. And as for Poudre, I have it on right now and could bathe in it, it’s that good. I find its progression from gentle galbanum to soft iris to vanilla musk drydown irresistible! which is also worth checking out! Thanks for the link. I hadn’t seen that review, and the chocolate and saffron oil does sound incredible! I don’t know whether to thank you profusely for clueing me in to the Aftelier oils or curse you for creating a whole new batch of body oil lemmings. 😉 (I do thank you–really!) On the subject of great body oils, have you tried the “anti-aging” one from Marie Veronique Organics? It’s been my fav so far, scented with rose and neroli and quite wonderful on the skin. But you may have created new favs! Please let me know what you think of Moss and Ivy when you get it! 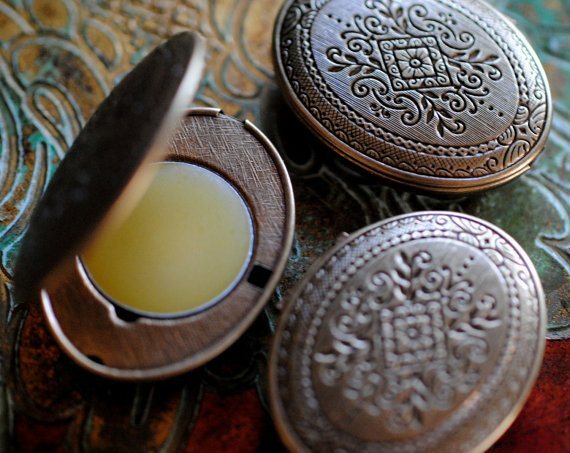 Those perfume compacts are gorgeous! I actually am in Portland for the holidays so I might check them out. You really should! I’ve never been to the Spring Creek Store, which is the gift shop of the Waldorf School in town, so give a call before you go.